Whether on dating apps or social media, photo filters have taken over the digital world. Dog ears, angel crowns, bouquets of flowers, and more have invaded the heads of millions of people around the globe. And now those same filters are coming for your kitty cat. 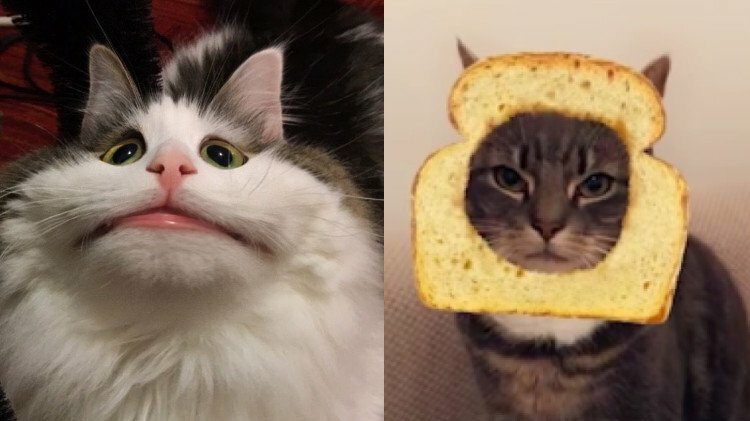 Snapchat has introduced a new set of photo filters (called lenses on Snapchat) built specifically for cats. Using an algorithm that can somehow define a difference between a cat’s face and someone who looks like they were hit by a bus, it’s capable of tossing an array of items onto the head of your cat for the perfectly shareable photo. As usual, you should expect to see photos of girls and their cat with slices of bread wrapped around their neck in the coming months. What a time to be alive. Snapchat was recently in the news due to financial concerns at the company that suggest it’s having a difficult time monetizing its 158 million user install base. Experts are expecting an acquisition in the next 24 months if management isn’t able to turn things around.